Lack of yellow fever vaccinations caused havoc on the Queensland Reds travel arrangements this week. The first leg of the Queensland Reds Super Rugby tour was achieved, they had beaten the Argentina-based Jaguares 18-7 in Buenos Aires. Next stop, Cape Town to face the Stormers in the second part of their tour before a bye week. Well not so fast, because the Reds travel arrangements were thrown into brief disarray because the side had not been given yellow fever vaccinations. The Australian franchise was due to travel to Cape Town via Sao Paolo in Brazil, but instead travelled to South Africa via London. South African officials did not allow the side onto the plane in Sao Paolo over concerns about yellow fever. The Queensland Rugby Union had consulted a travel company and were told they wouldn’t need the vaccinations, but the officials stood firm on the problem. The Union were told that yellow fever is only prevalent in the northern part of Argentina, and considering the team were staying just in Buenos Aires, they would not be at risk of the disease. It also isn’t clear if the SANZAAR manual mentions inoculations for yellow fever when teams travel to Argentina. As a result of this confusion, the Reds’ alternative was to fly to London, and then connect to Cape Town, a travel arrangement which set the team back 12 hours at least. Coach Brad Thorn decided to use this set-back as a way of bringing the team together, calling on the players to embrace the problem and tackle it head on. It will be a tough game for them next weekend though, as the Stormers are coming off a brilliant win over the Blues. Additionally, the DHL Newlands stadium is a tough place to get any result. “We’re just going to throw the kitchen sink at it and give it our all,” said Queensland’s South Africa-born prop Ruan Smith. 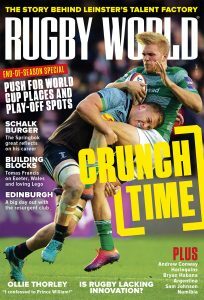 Don’t forget to follow Rugby World on Facebook and Twitter.